Just finished writing music for this movie. “Dagu” is about the role of social media in dictatorships. The film will premiere at the African Film Festival in Luxor, Egypt as part of the short film selections. 25 / 26 January at Fabriktheater Rote Fabrik Zürich “Kings of Interest” by Aron Yeshitila with music by me. Music made for the upcoming multiplayer-game “Hirt”. The music is adaptive and reacts to player health and a mysterious parameter called “sheep”. The video is me demoing some of the music in FMOD. Watch as I turn the knobs on top of the screen. Intensity, pause and sheep. At the end is a short demo of the intro screen. 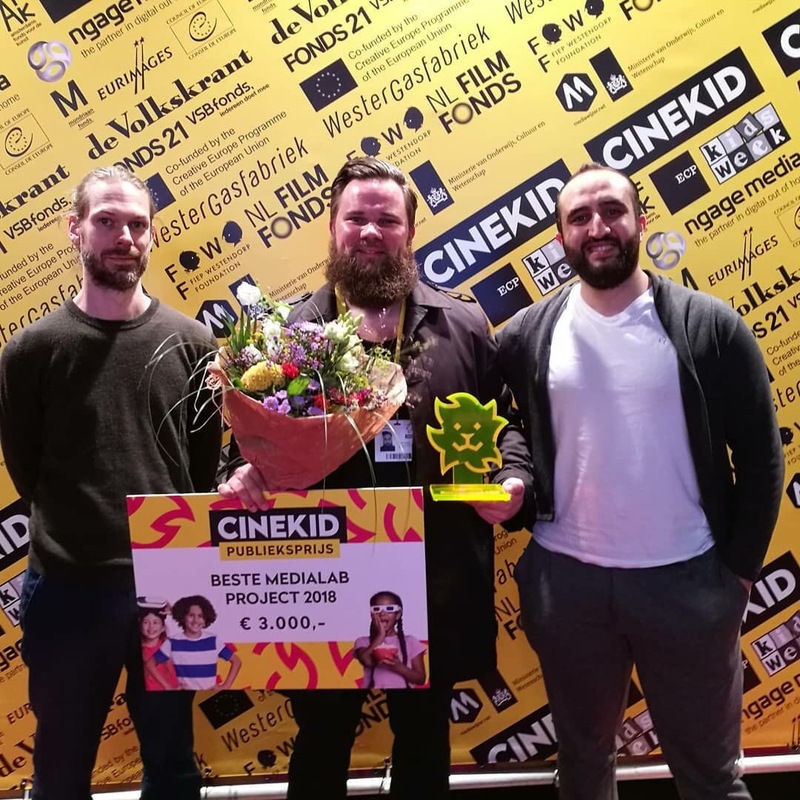 The VR game “Flotsam Fluke” won the audience award at the CineKid Festival Amsterdam. The game is a project by Stefan Schäfer with Derk Over (game design), Julian Hana (programming), Christoph Scherbaum (music and sound). CineKid is the world‘s largest mediafestival for children from 3 to 14 years with about 65.000 visitors for the festival alone. Picture from the premiere of the graduation movie “Braises” by Estelle Gattlen and Sarah Rothenberger that I wrote the music for. More info and a trailer can be found here. I produced one track for the upcoming theatre performance “Katastrophenübung”. Streamer & my alter ego CJ Croquet just released our first full length album “Sunshine Tours”. Available on Bandcamp. Streamer is the producer name of Amsterdam based theatre composer and DJ Gary Shepherd. I just finished music, sound design and text recording for the theatre performance “Kings of Interest”. I did some sound design for the upcoming performance “November” by Laura Witzleben. The piece just showed a short research version at Tanzhaus Zürich.